Above: St Kilda, Melbourne. 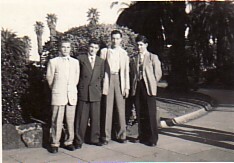 L-R: Nikolaos Hatzistavrakis, unknown, Dimitrios Sevastos and me. 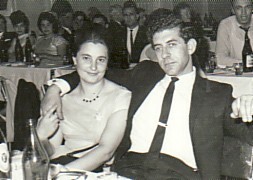 Above Right: With Hariklia Sevastos. 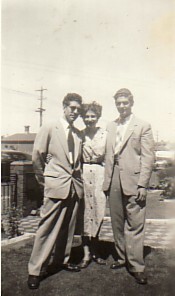 Above: With my wife, Adrianna, and my brother, Angelos (right). Above Right: At St Kilda Fun Park. 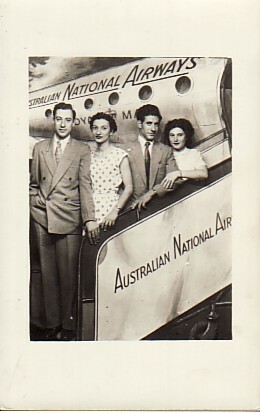 L-R: Dimitrios Sevastos, Kanoula Sevastos, myself and my wife, Adrianna. 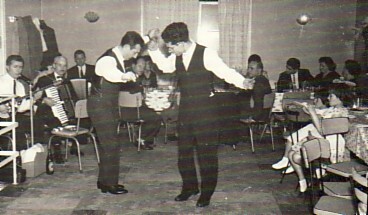 Above: Dancing at a Mytilenian social function of the Pittakos Association. I am on the right. Above Right: With my wife, Adrianna. Above: Celebrating Christmas with the Pittakos Association. 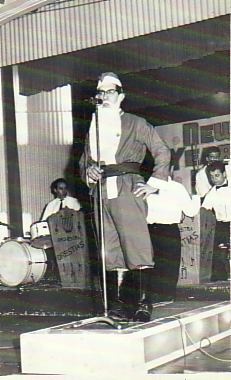 At the time, I was Vice-President. 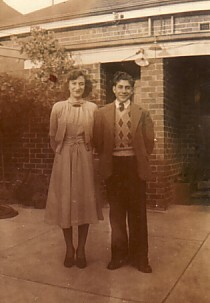 Circa early 1960's. 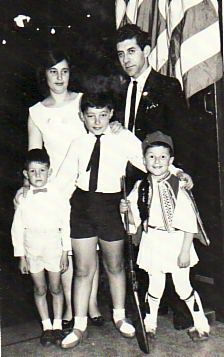 Above Right: With my wife, Adrianna, and our children, Stavros, Ioannis and Haralambos. Above: At the panygiri of Agios Haralambos. 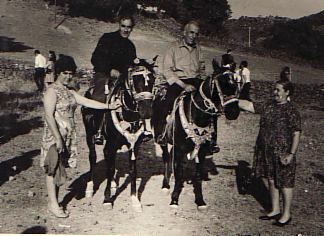 L-R: my sister, Maria; my father, Haralambos; and Iraklis and Stella Koudouna.